We are currently in a Stellar Activation Cycle and there is currently a spiral that the Fallen Angelics are attempting to align the earth with Nibiru. As counterbalance to this, there are lightworkers and grid workers who are attempting to align another spiral with the central sun in the Pleiades of Alcyone. We all practice our grounding energies yes? 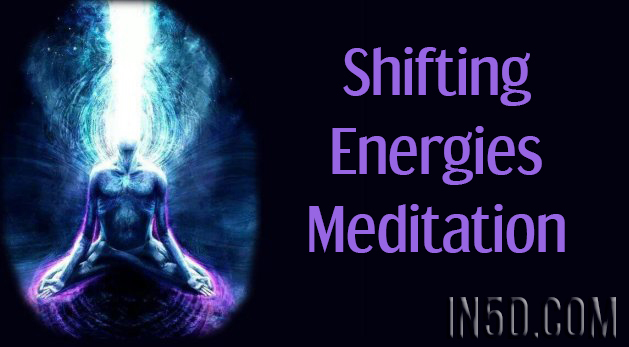 The recent Shifting Energies live video from Gregg Prescott on the 21st September 20th for the U.S inspired me to write this article. Two weeks ago, I was lying in bed and I felt this “RUMBLE” and I recognized this same sensation when I lived on The Ring Of Fire in Fiji and realized this correlates with earthquakes in close proximity. Sure enough, reports would come through the next day that an earthquake would happen in as far away as Japan. I could feel this intensely as my whole body would “RUMBLE”. I knew it was going to happen in close proximity to where I am in Melbourne, Australia and so yesterday, I was discussing this with a friend at lunchtime and told him there could be one happening in New Zealand. When I returned home and got on the internet, I wasn’t surprised to see that an earthquake did actually happen that day. Deep grounding techniques for many years have given me a close relationship with our Mother Earth , who I love so dearly and in return, I feel she “speaks’ to me and lets me know certain signs when I need them. She has taught me a lot and for that I am deeply grateful. She is always giving us “signs” and it’s up to us to observe as a compassionate witness for those who choose be in tune with her. For those who wish to connect with her, let’s go a little deeper. Sit there for a few moments and FEEL HER CONNECTION WITH YOU, REMEMBER, YOU ARE HER CHILD AND SHE LOVES YOU! You might find yourself crying “happy tears”. This is a release so just go with the flow. Let it flow and settle in the soul as wisdom whatever comes up. TAKE A BREATH AND BLOW OUT DEEPLY THROUGH YOUR MOUTH! You are now ONE with her and immersed with her. Sit for a few minutes with her. When you feel you are ready, you may now visualize ascending back to your own sovereign space still connected to her on the surface of the earth. The more you practice this technique, the more connected you will feel and you will be able to read the signs she is gifting you. The next time I receive a sign and feel these “RUMBLES,” it would make me so happy to lead an online group meditation with the help of Gregg, focusing on healing the next upcoming earthquake whatever proximity they occur. Remember, the more we heal the earth and ourselves from past traumas and misconceived B/S beliefs systems, the more powerful and shinier our light will be. After all we are stars! Stay tuned for my new ebook SUPERCONSIOUS released on the 13th October 2017.